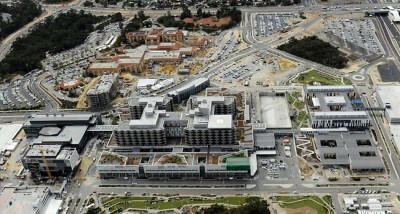 The $2 billion Fiona Stanley Hospital (FSH) in Murdoch is the largest building infrastructure ever undertaken by the state. Working with 4 survey crews, ST Spatial were engaged to provide all project survey requirements for the entire infrastructure on site. ST Spatial were engaged by Brookfield Multiplex to be responsible for the setout and as constructed drawings for the entire infrastructure on site. This included sewer, power, water, communications and drainage. Downer EDI Works engaged ST Spatial for survey on all the earthworks, road construction and car parks on the project. Nilsen engaged ST Spatial for survey on all the electrical and communications infrastructure in the car parks throughout the site. D+Z Constructions engaged ST Spatial for survey on the construction of a bridge, service tunnel and plant and equipment building. 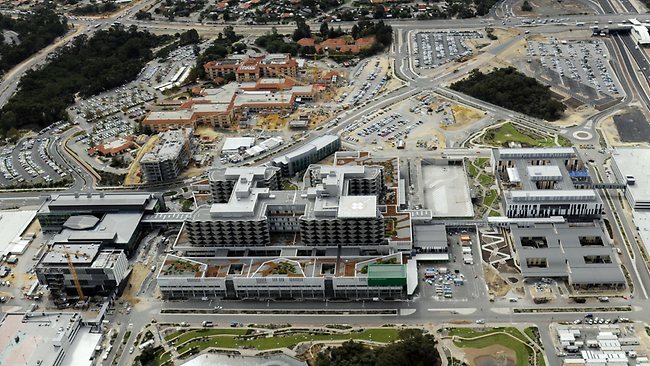 Form 700 engaged ST Spatial for survey of the construction of two multistorey car parks on the Fiona Stanley Site. Deep Green engaged ST Spatial for survey on the lake areas, landscaping, and retaining walls.